Service Management Journey: Is Your IT Team the Appendix for the Business? Is Your IT Team the Appendix for the Business? In some way or another we have all seen this before on some level, business units outside IT making technology decisions or purchases without IT knowing about it. The question you need to ask – is IT the organizational version of the human appendix? 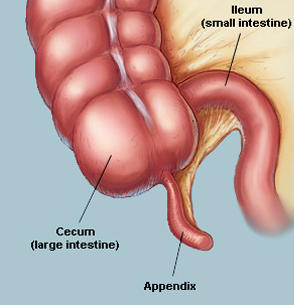 The appendix is not a vital organ and medical researchers still debate its exact function in our bodies. One hypothesis is that it had a larger function in a time long ago, starting to see any similarities? More than ever the business units are finding that they are positioning themselves to not only spend technology dollars but make technology related decisions. Why does this happen? Well, many of the leaders of these teams believe that they are more informed in this digital age to make decisions where they do not ‘need’ IT. When you ask these teams why, they will say that it is just easier to do it themselves. It’s not all doom and gloom for IT we just need to be scalable to new ways of working with our business. Among the roles that are surfacing is that of a service broker. This role consults with business partners to not only understand their needs but also to facilitate the sourcing of technology from a provider. This doesn’t necessarily mean outsourcing; it could be something that we as an IT organization already provide. In some ways IT may already be managing this function today without formally calling it this. This forward thinking view is great and everything but the most common response from a long time IT person will tell you that “you still need to keep the lights on with legacy systems”. This is where those less likely to adapt will outline that IT’s existence is not over yet. The trick here is that despite this mentality we need to think about your business being able to deliver on its objectives. However, if legacy applications or infrastructure become the bottleneck for the business, than it will ultimately be the topic of discussion on “why do we need IT”? Here’s the good news, we know what we need to do to survive – evolve. As IT starts to take a renewed look at how it works with the business it will ultimately build relationships which will improve the delivery of services. An IT team which looks at solutions from this business objective perspective will be making decisions and suggestions which will line up with what the business wants in the first place, not what IT assumes that they might need. Overall you need to look at how you are delivering services. Understanding the business is the first step. From there whether you need to focus on the service broker function, or simply have a more people focused approach a strategy to create this value has to be outlined.